TS Ag Finance is looking to partner with you and offer our elite programs and products to farmers or farmland owners throughout the United States. As an originator with TS Ag Finance, you work when you want to. As an Originator, TS Ag Finance won’t enforce any annual volume requirements, you can build a portfolio that will continue to generate annuity income for the life of the loans. As an Originator, you will remain the primary contact with your clients. Our streamlined process allows for easy submissions and quick turnaround times. We understand the importance of quick decisions in today's competitive market and we strive to deliver exceptional customer service. We offer a competitive incentive program that allows Originator Lenders to generate income three different ways. TS Ag Finance pays rebates on a per loan basis, allowing you to receive revenue throughout the year. 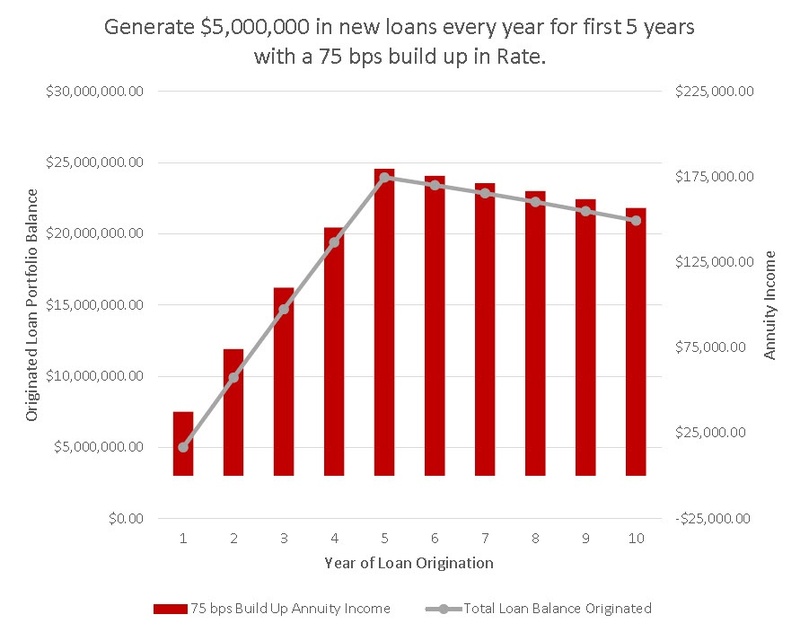 Generate $5,000,000 in new loans every year for 5 years. Originator Annuity Income on building up rate 0.75%. Rate to the Borrower is 5.5% Fixed (includes rate build ups stated above). In year 10 after not originating a new loan for 5 years, the annuity income generated is over $150,000. To learn more about our elite programs and products, click here to visit our website. If this sounds like something you might be interested in, complete the form located below and we will be in touch to answer any questions and help you begin your new business.